The USS S-48, entering Dry Dock 2 at Boston Navy Yard in 1929. Photo courtesy of Boston Public Library, Leslie Jones Collection. 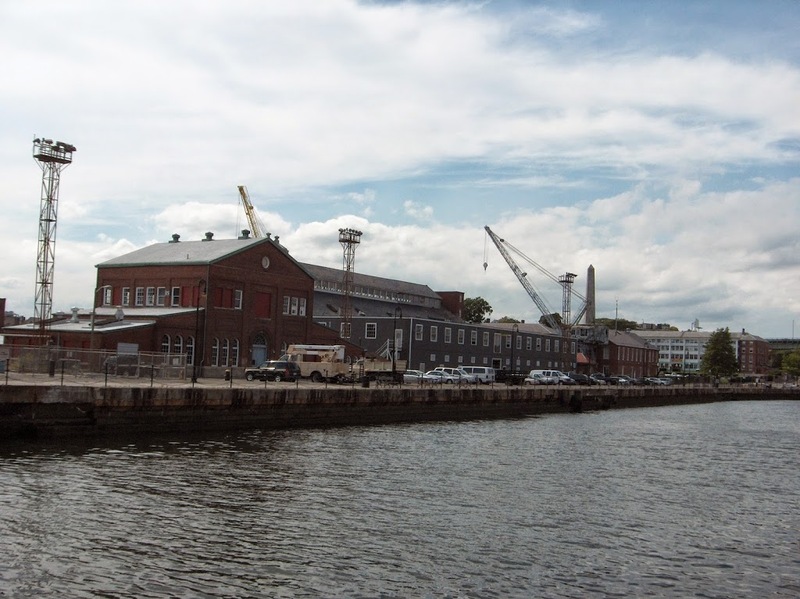 Although no longer an active military base, this part of Boston Navy Yard looks much the same as it did in the 1920’s, thanks to its preservation as part of the National Park Service’s Boston National Historic Park. The yard was opened in 1801, and was very active during World War II, when it built a number of destroyers and other smaller warships. It closed in 1974, and was then turned over to the NPS. The submarine in the first photo is the USS S-48, which was launched in 1921, in the days before the Navy gave real names to its submarines. Even though it was only a few years old when the photo was taken, the S-48 had already experienced several mishaps; during builder’s trials, a manhole cover was left unsecured, which is generally a bad thing on a submarine. A few years later, it grounded off the coast of New Hampshire and was out of service until a few months before this picture was taken. 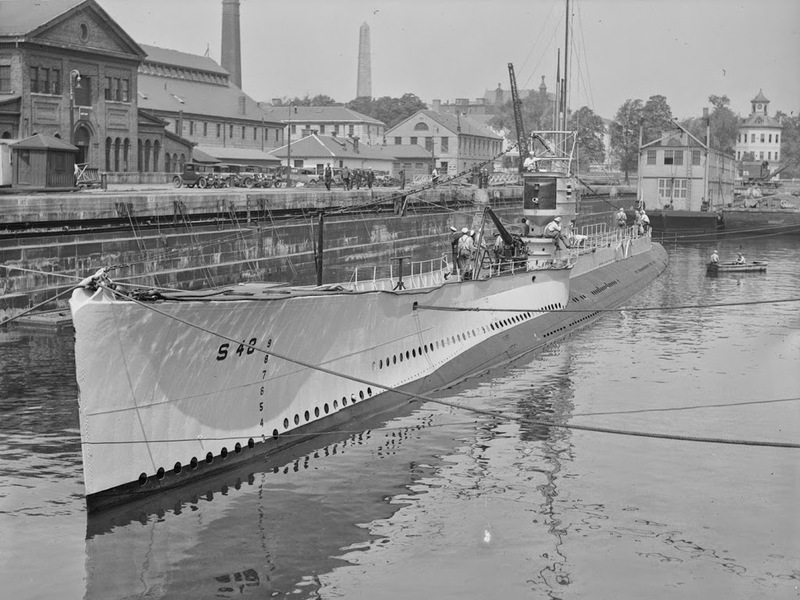 The S-48 would serve in World War II, but by then the obsolete submarine was used primarily for training purposes, and was scrapped shortly after the war ended. 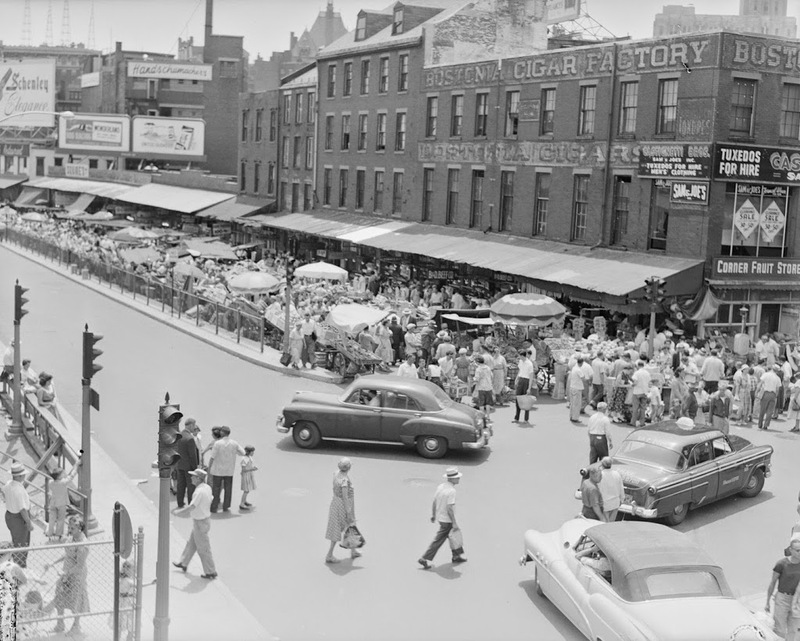 The corner of Blackstone Street and Hanover Street, in 1956. Photo courtesy of Boston Public Library, Leslie Jones Collection. There’s something rather depressing about comparing these two photos – the bustling marketplace, contrasted with the shuttered storefronts and empty streets. However, the appearance neighborhood as a whole has improved significantly since 1956 – the first photo was actually taken right in front of the Central Artery – the massive elevated highway that was eventually replaced by the much-maligned yet more aesthetically pleasing Big Dig. Where I was standing to take the 2011 photo is right about where the highway ran through – if I had taken the photo 10 years earlier, the buildings in the foreground would’ve been barely visible. I hadn’t seen the 1956 photo before taking this photo; what drew me to the building was the fading 19th century advertisements still visible on the bricks. The two most prominent are for Bostonia Cigars (top and right-hand side), and W.P.B. Brooks & Co. Furniture Carpets &c. I couldn’t find out much about either company, but it appears both from the appearance of the advertisements and also some quick online searches about the companies that they existed in the late 19th and early 20th centuries. The building itself, which was constructed around 1835, is actually the same building that has the Boston Stone mounted on its wall, on the opposite side of where this photo was taken. Behind it is the Blackstone Block, a rare group of buildings from the 18th and 19th century that still maintains the original 1600’s street network. It is completely surrounded by much newer construction, but it is a small enclave of historic structures. 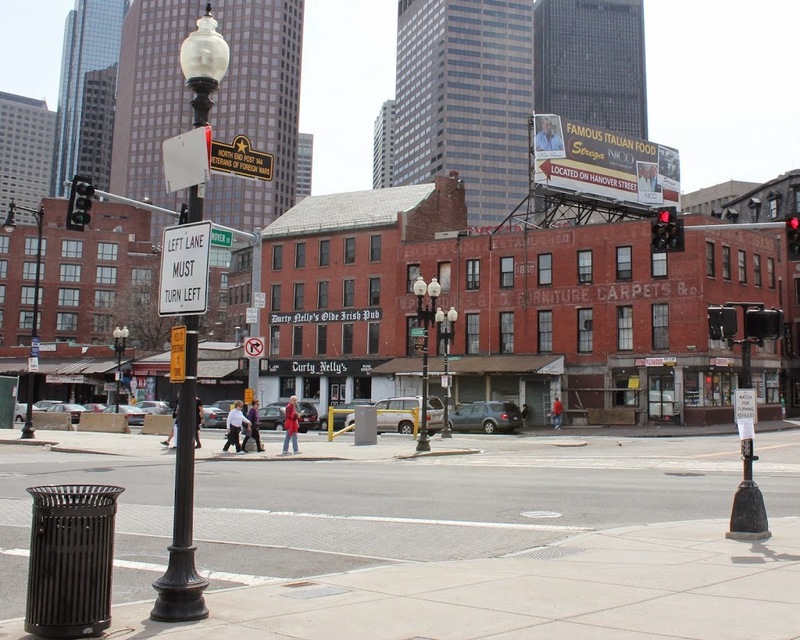 On the opposite side of this area is one of Boston’s oldest buildings, the home of the Union Oyster House. This building itself actually used to have more floors, but at some point before the 1956 photo it was trimmed down to just three. However, recent photos of this same building taken in the past year have shown that a couple more floors have actually been added on to the top of it, which would suggest that its future is brighter than the boarded up storefronts and deserted streets would seem to suggest. 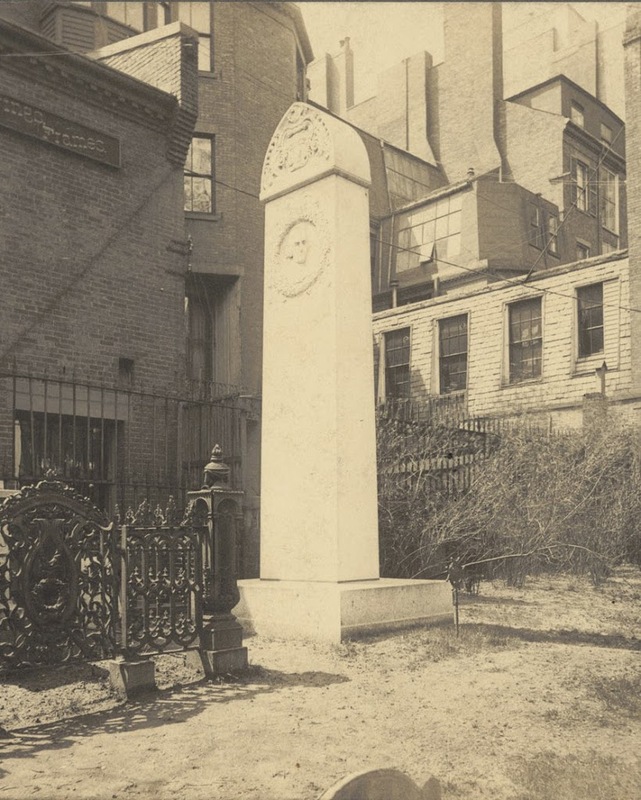 John Hancock’s grave in the Granary Burying Ground, around 1898. Photo courtesy of Boston Public Library. 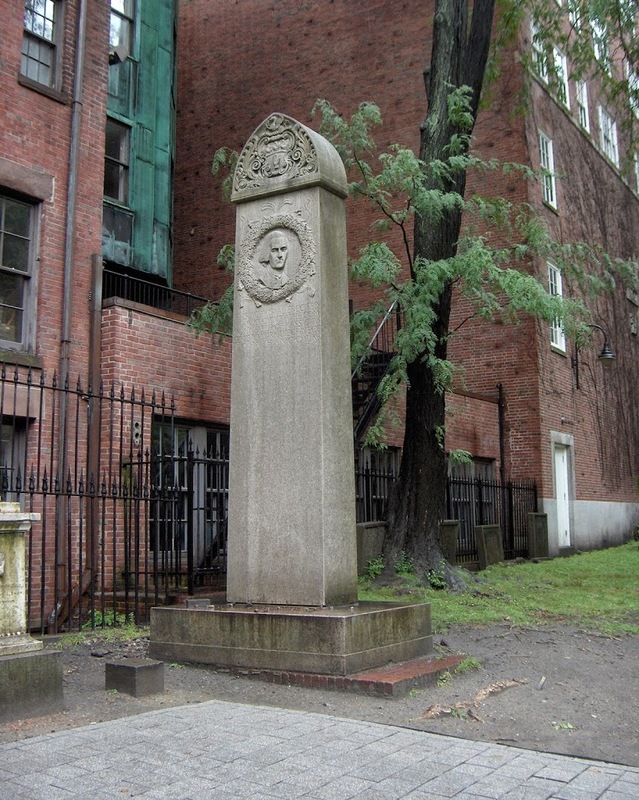 Although John Hancock died in 1793, his grave wasn’t memorialized until 1896, about 2 years before the first photo, when the monument was dedicated. The graveyard itself remains much the same as it was in 1898, down to the fence between it and the surrounding buildings, but the buildings themselves are very different from the ones at the end of the 19th century. 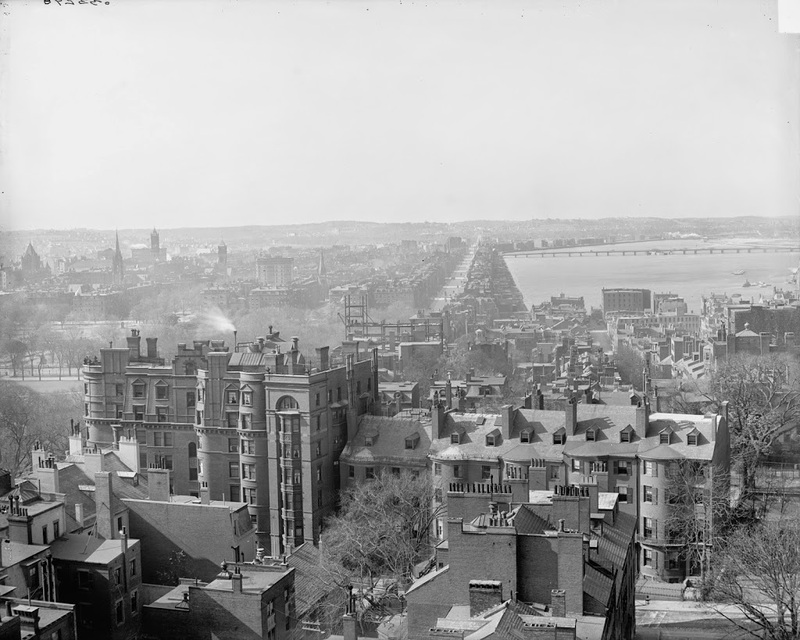 The view of the Back Bay, from the top of the State House, in 1857. Image courtesy of the Boston Public Library. The same view from the same spot, between 1900 and 1910. Image courtesy of the Library of Congress, Detroit Publishing Company Collection. This post is a bit unusual, since I don’t have a modern-day view of the scene, but I thought that the differences between these two photos, taken only about 50 years apart, was particularly compelling, and illustrates just how much of Boston is built on reclaimed land. If I did have a present-day photo, it would show the John Hancock Building, the Prudential Tower, Hynes Convention Center, the Massachusetts Turnpike, and one of the most expensive neighborhoods in Boston. Yet, less than 160 years ago it was just a heavily polluted mud flat. To help identify a few prominent locations in the swamps of 1857, the row of trees at the end of the water is present-day Arlington Street, and the road built across the water is Beacon Street, originally built in 1814 as a dam and toll road. The dam was intended to use the power of the outgoing tides for factories in the area, but it had the unintended consequence of preventing the mud flats from being washed out twice daily by the tides, leading to a shallow basin filled with sewage, garbage, and other pollution. Another dam connected Beacon Street to the point of land in the distance on the left. The left-hand side of the dam ended at the present-day intersection of Massachusetts Avenue and Commonwealth Avenue. In the extreme distance of the 1857 photo, Beacon Street reaches the mainland at present-day Kenmore Square. 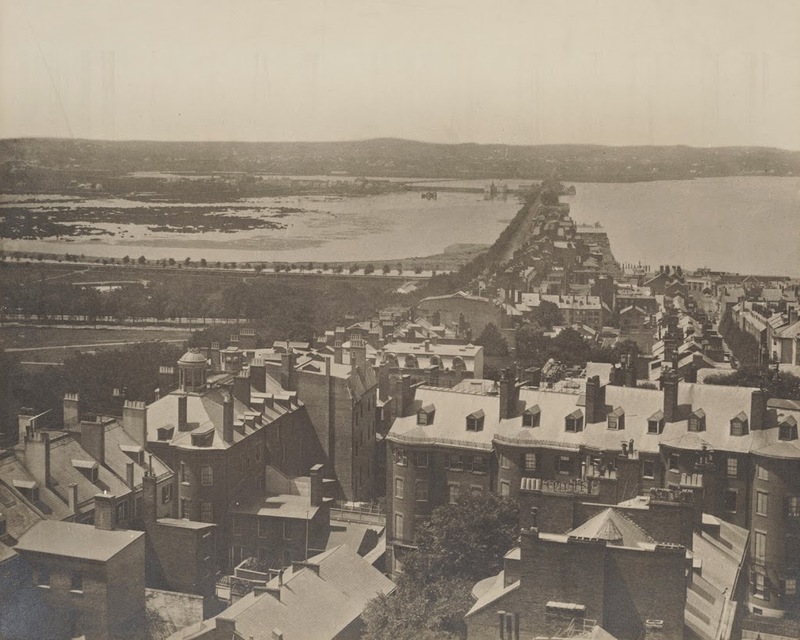 Most of the Back Bay up was filled in only a short time after this photo was taken, and completely filled in by 1882. The Fenway section (so-called because of the swamps, or “fens” in the area) was mostly finished by 1900, putting the finishing touches on the Boston that we now know today. The view looking northwest from the corner of State Street and Dwight Street, between 1900 and 1910. Image courtesy of the Library of Congress, Detroit Publishing Company Collection. There is absolutely nothing in the first photo that still exists today, so identification of its location eluded me for a while, until I zoomed in to a high-resolution scan of the photo and noticed the “Dwight Street” sign. 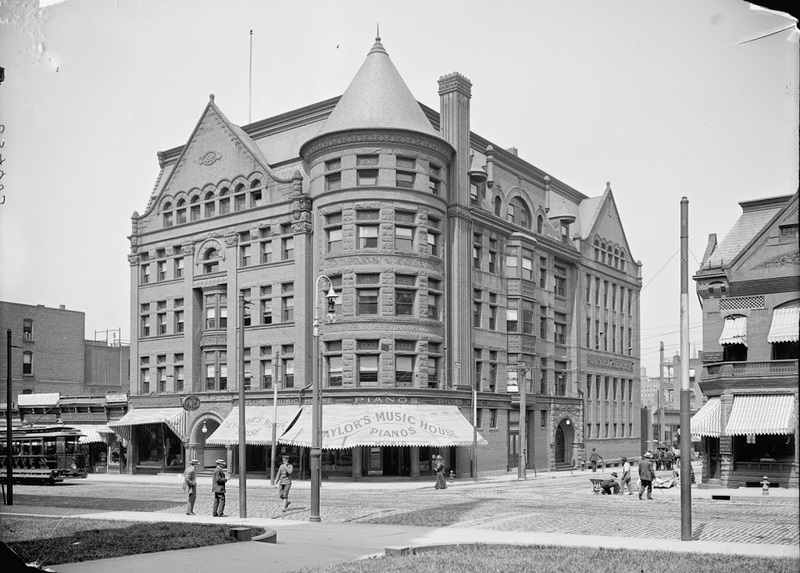 The building in the first photo was, at the time, the YMCA building in Springfield. According to the date on the building, it was constructed in 1894. 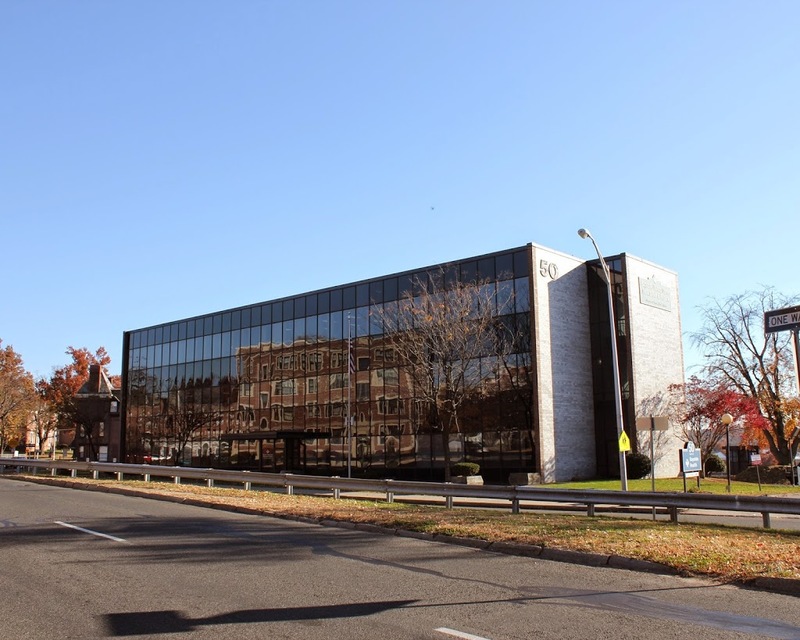 So far, I have been unable to find information about when it was demolished, but it was certainly no later than 1972, when the MassMutual Center (at the time the Civic Center) was built. 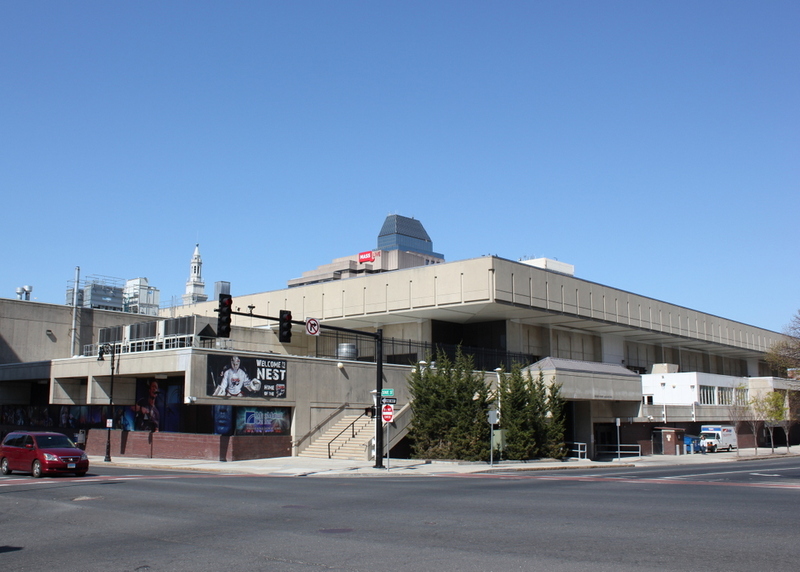 The building is now the home of the Springfield Falcons (hockey) and the Springfield Armor (basketball), and was the home of the NFL’s Hartford Whalers for several seasons after the roof of the Hartford Civic Center collapsed in 1978. Incidentally, notice the fire hydrant to the far right of both photos. The hydrant itself isn’t the same, but they are probably in the same location, which makes it possibly the only fixed landmark in both photos. Daniel B. Wesson’s house on Maple Street, as it appeared between 1900 and 1910. Image courtesy of the Library of Congress, Detroit Publishing Company Collection. The building in the early 20th century was the home of Daniel B. Wesson, who was the co-founder of Smith and Wesson. Located at 50 Maple Street, at the present-day intersection of Maple and Dwight, it was built in 1898, and was Wesson’s home until he died in 1906. 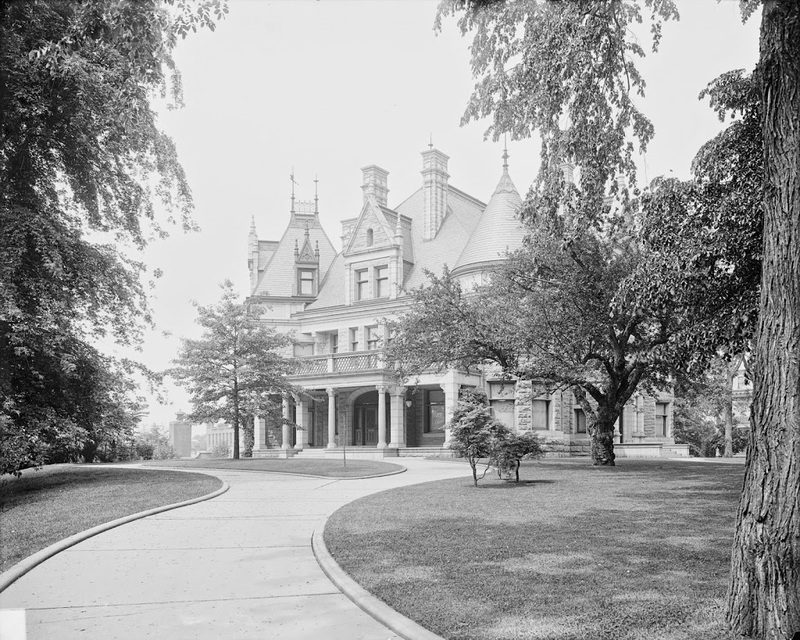 The house was purchased by a social club, the Colony Club, in 1915, and was used until February 20, 1966, when the building burned and was replaced by the bland, nondescript building that now stands on the lot.